According to the leaked images the Samsung Galaxy Note 8 will feature a 6.3-inch QHD+ infinity display and will come with an S pen. The smartphone comes with IP68 water and dust resistant rating, iris scanner and also includes wireless charging. The Samsung Galaxy Note 8 is expected to feature a dual-lens camera setup with 2x optical zoom and will come with optical image stablisation and f/1.7 aperture for low-light photography. The phone includes Smart Switch software that will help new users in transferring their data from the old phone to the new one. Reports have generally suggested that the Galaxy Note 8 will strongly resemble both the Galaxy S8 and and Galaxy S8 Plus. This will mean that the wraparound display from those devices migrates to what will become the flagship phablet from the Korean corporation. 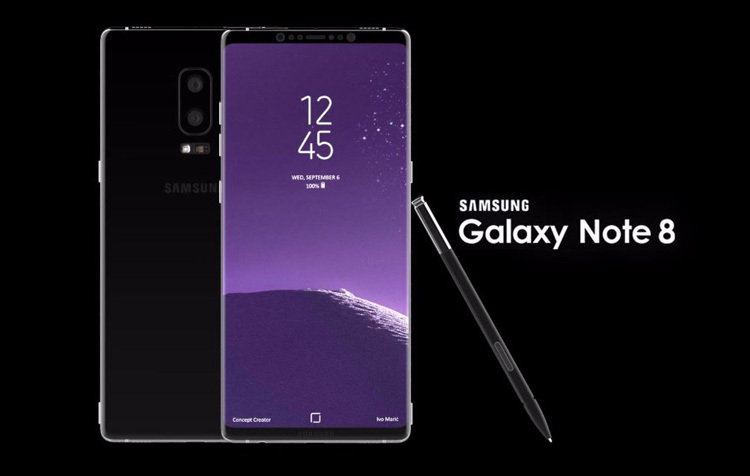 The Samsung Galaxy Note 8 is expected to come in eight color variants that include midnight black, arctic silver, orchid gray/violet, coral blue, dark blue, deep sea blue, pink and gold. Considering that the iPhone 8 is expected to retail at $1,000, with the highest estimates for the device being $1,200, it would seem to make commercial sense for Samsung to undercut its rival somewhat. The tenth generation iPhone 8 is expected to be a revolutionary device, so if Samsung is to compete favorably with the Apple handset, it does need to offer consumers some incentive.